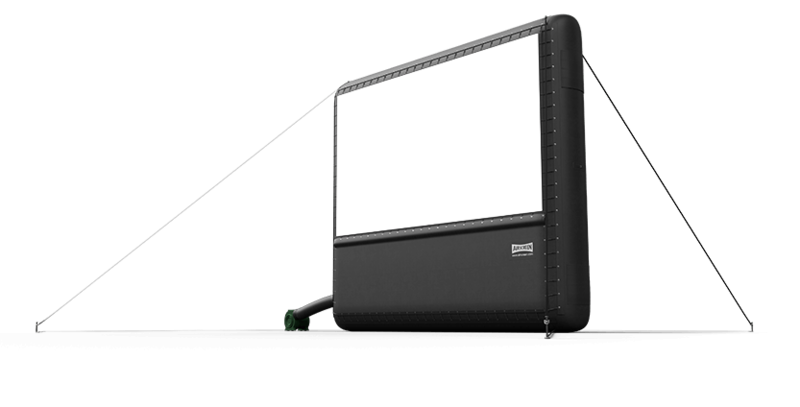 Portable outdoor movie screens can be a way to remind audience members of one of cinema’s oldest movie-watching traditions. In addition to the obvious appeal of gathering in warm months to watch films on outdoor screens, there’s another reason film buffs or others looking to relax may want to take part in this particular pastime: this week marks the 80th anniversary of the first American drive-in movie theater. And though there are only about 400 of these kinds of professional locations left in the United States these days, event organizers can think of a portable screen as a means of kindling the same feeling in an audience, or perhaps exposing younger viewers to it for the first time. The Courier Post reports that the town of Pennsauken, New Jersey saw the Automobile Movie Theater open in 1933, and though a lot has changed since then, the experience of enjoying a film in an outdoor environment still carries enough interest to inspire some attendees to make the trek out to these locations. One obstacle these drive-locations have had to face in recent years is the rise of digital cinema, and with it the expenses of purchasing new equipment, but outdoor screen organizers have less to fear in this regard. In some senses, a temporary screening event can allow for the same kind of atmosphere without organizers having to worry about long-term costs. Those wishing to pay tribute to an old tradition of cinema viewing can take the first step with a large outdoor movie screen. And this milestone offers the even better opportunity to impart history to filmgoers new to the pleasures of this kind of experience and give them a state-of-the-art viewing, all at once.